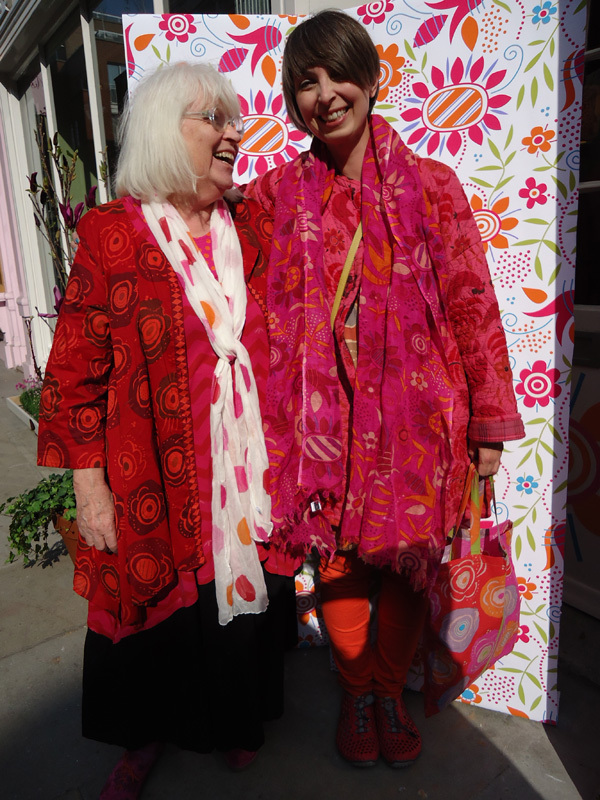 I am thrilled to announce that I've won Gudrun Sjödén's Most Colourful Woman in London competition! I'd been waiting for clothes like Gudrun Sjödén's since discovering Romeo Gigli's exotic romanticism in the 1980s (though his clothes always remained well out of my reach). Gudrun's garments give the wearer the same liberating freedom of movement and expression of free thinking style as Madeleine Vionnet's radical creations must have done in the 1920s. 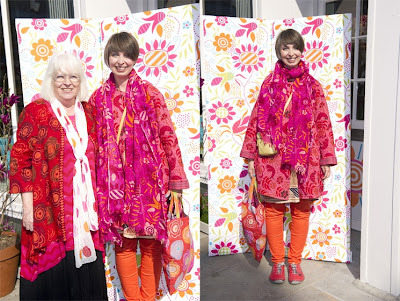 Gudrun's collections combine fantastic bold and bright print design (think Marimekko meets Scandinavian folk-art) with exquisite attention to detail (printed linings, covered buttons, beautiful quilting) all crafted into wonderfully comfortable, wearable items. 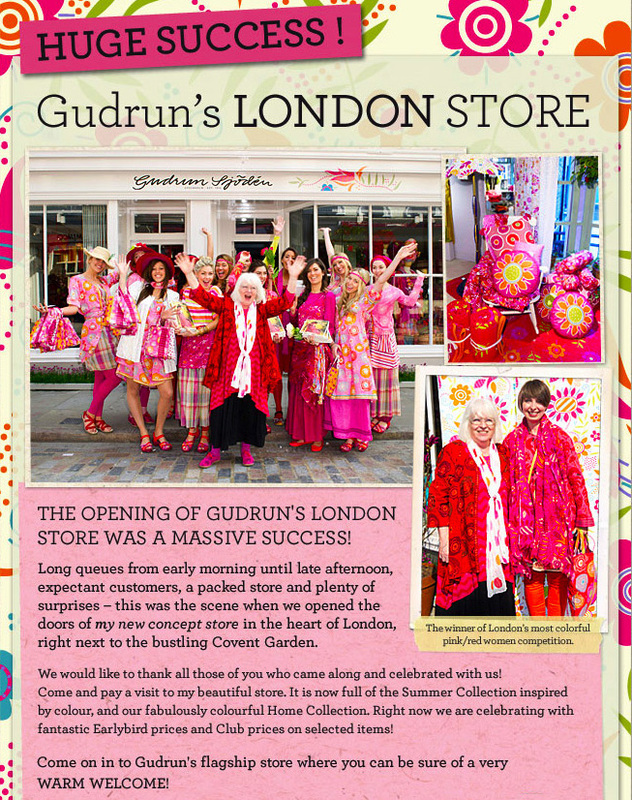 The competition took place last week at the opening of her new London store - her first shop in the UK. 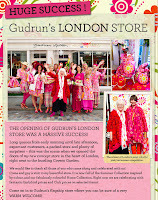 Although she is Sweden's biggest exporter of clothing with a worldwide web shop and stores in Europe, she enjoys a cult following in this country - or so I thought until I joined the hundreds of fans of all ages and from all over the UK who flocked to London for the first day of trading at her shop. I'm tickled pink to be associated with this iconic designer. I was lucky enough to be able to meet Gudrun on the day - and of course gave her one of my lavender bags.